Hello, we live on the third floor in an apartment in Texas. It can get quite hot outside in the summer. For the periods of training and play time (in which the puppy will pee a lot), would you recommend taking him up and down the stairs over and over or trying to do these things outside? I feel like if we were to take him up after every pee, we would immediately be going back downstairs. Fortunately, I haven’t had to go up and down stairs to let my puppies out to go potty. However, if I were in that situation I think I would force myself to go up and down the stairs for potty training. One thing I’d recommend if you do decide to bring your puppy up and down the stairs is to make sure you give him enough time to “get it all out” Sometimes puppies will only do a little bit of their pee in the initial squat then come back inside to go again. 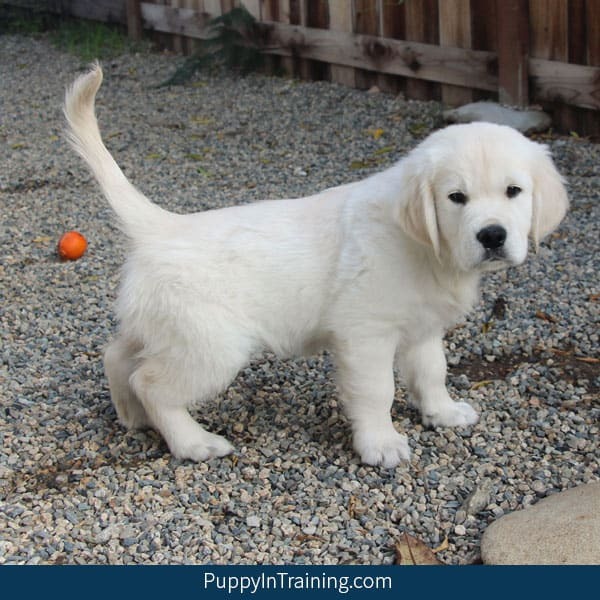 Take a look a this article when you have a moment: https://puppyintraining.com/crate-training-puppies/ Good luck with your training! Hello! I just brought home my 8 week old English bulldog yesterday. I have her vet check scheduled tomorrow but I’m concerned that she has a problem with her bladder. She pees a little every few minutes while awake. I’m constantly taking her out. She pees every time then after being in the house for about 5 minutes she’s peeing again. It’s usually a little bit. I wonder if it could be a nervous thing since we just brought her home? Hi, could you tell me what your vet said? We have having the same issues with our 8 week old English Labs we brought home yesterday 10/4/17. Thank you. I just got a 3months old daschund puppy today and I have had her for about 10hours and she has yet to pee or poop and she’s had multiple naps and playtimes and ate…but yet nothing…I’m getting worried. Any insight? My puppy pees constantly. We take him out a lot during the day. I, especially, make sure to take him out after every meal, after naps, first thing in the morning, etc. but little Bo pees constantly. I’d say he pees within every 10 minutes and it’s not little dribbles either. We’re definitely going to make a vet appointment but wanted to hear your input as well. We just got our first lab. She is 8 weeks old and I have never seen a pup pee as much as this one does. I have raised rotties and a Dalmatian but never seen anything like this one. She also has to pee every hour and 1/2 to two hours all night long. I mentioned this to the vet at her check-up and they laughed at me and did not check for a UTI and after reading thru the comments here I am leaning toward it maybe being normal but geeze. lol We crate her and let her out as soon as she wakes and take her immediately outside. We are taking her water up several hours before bedtime so not sure what else we can do. Thank you sooo much for this! 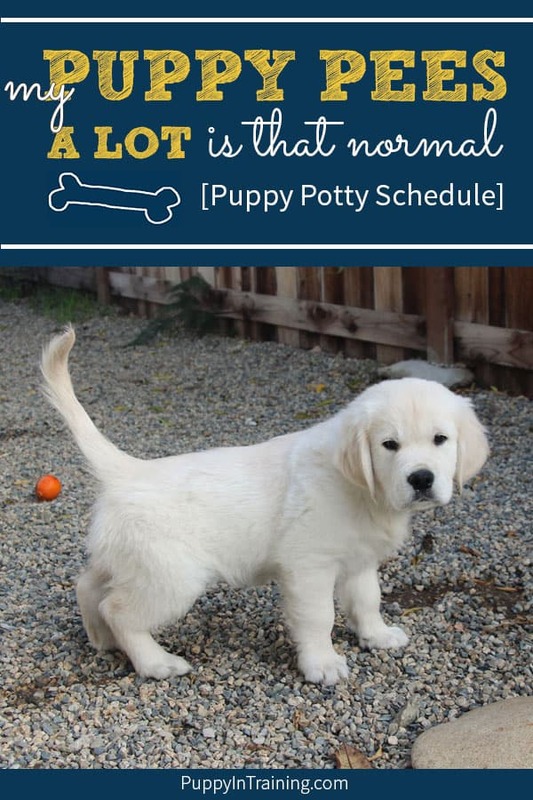 I was starting to get genuinely concerned about our puppy but turns out her schedule matches the one you posted here almost to a T! It is absolutely exhausting to have to monitor her so closely and take her out so often but I am glad to know it won’t be as frequent for much longer. She is an 11 week old havanese.